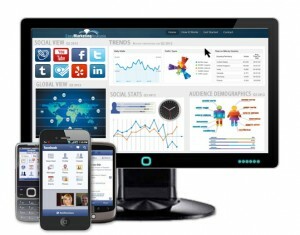 Put Your Online Marketing on Auto-Pilot. Get a custom marketing plan that’s managed for you. Imagine what it would be like to have an online marketing team with over 15 years of experience working to get you more buyers and fans 24/7 and reducing or eliminating wasted money on things that aren’t getting you results. Contrary to popular belief, not everyone needs to tweet every 20 minutes or create tons of time-consuming content hoping to get a decent ranking on Google. In fact, in real life, some of those things are simply a waste of time and money. Let us help you figure our the best marketing strategy for you to get to the next level no matter what level you are at right now. Our proven strategies get results fast so you can focus on what you do best and we can take care of the rest. We can make your life easier…or at least, make your online marketing easier. Who has the time and expertise to watch the statistics to see what pages, keywords, campaigns and content are getting the results you want and which ones are falling flat on their faces and who wants to watch all those numbers and results when you’ve got other things to do? We do, and we love doing it. Now you can delegate your marketing to us. We will provide you not only with the strategies and numbers but with the most precious commodity of all: results. We’ll show you exactly what’s working and how we are consistently improving it so that you always stay one step ahead of your competition. 1. Get more visitors & views. 2. Convert them into buyers & fans. 3. Grow your online business as quickly as possible. Your Website Analysis will show you which pages on your site are working and which are not. It also provides us with a detailed plan to make your website “search engine friendly.” A website analysis identifies and fixes “cracks” in your website that may be costing you buyers or repelling visitors. See exactly what your competitors are doing to get visitors and buyers. We’ll find your competitor’s most important keywords and the websites that link to them along with everything we need to make sure you can outrank them on the search engines and get the most possible visitors, buyers & fans. If you’re not on the first page when someone searches for you, you’ve already lost to your competition. Our Search Engine Optimization builds a solid, ethical foundation of inbound links and optimized content so you can dominate the search listings for your important keywords and enjoy a steady stream of traffic without lifting a finger. Social media sites like Facebook, Twitter, Google+ and YouTube can be a great source of targeted visitors although not everyone has the same needs when it comes to social media. 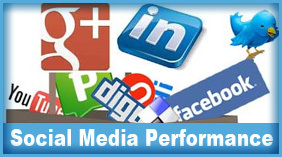 We will perform a detailed review of your presence on Facebook, Twitter, Google Plus and YouTube and create a results-driven strategy and we can even manage it for you. Knowledge without action has little value. Of course we would love to manage your marketing for you forever but if you prefer a more “hands-on” approach. We can train you and your team to become an expert by showing you simple strategies that even a total beginner can use to get more visitors, buyers and fans or how you can delegate it to someone else. Put Your Marketing Management on Autopilot.